The Mitsubishi Challenger has been on the market for some years now - since 1998 in fact. It has firmly established itself in the marketplace with those seeking truck-like toughness with admirable 4x4 qualifications with some of the creature comforts that people desire these days in an SUV. 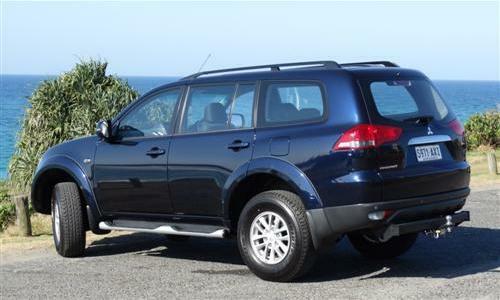 My opportunity to have a good on-road run in the recently updated Mitsubishi Challenger covered parts of south-east Queensland and the far north coast of New South Wales. The test car was set up with heavy duty tow bar and electric brakes. It was unfortunate that I never had the opportunity to undertake a tow test on this occasion. Let's hope in the future we have a chance to do just that. The Challenger comes with a proper 4x4 automatic with a stick shift to change from 2-wheel to 4-wheel drive and to/from high and low range. On this occasion, though, all driving was undertaken on sealed roads. MY14 Mitsubishi Challenger (PC series) is priced from $42,490* for the base model with manual transmission. An automatic transmission is optional at $2,500* and optional paint treatment is priced at $495*. Hence our test car, the base model Challenger with auto transmission and Dark Blue paintwork is priced at $45,485* without the dealer fitted towing equipment that I mentioned. A higher grade Challenger, the LS, is priced from $49,990* (auto is standard). Knowing that they are purchased and used by owners to tow, camp, for beach fishing and week-end getaways, Mitsubishi have provided the Challenger with some strong points for recreational use. It has plenty of room for cargo. It would easily carry an Engel type fridge or large Esky and all your week-end gear or even for a longer holiday if that was your choice. The essential 12 volt socket to run a fridge, or compressor was located in rear for easy use. I could not really believe the amount of space - we loaded a small Esky and three golf bags, and there was room for plenty more! With a few adjustments the feeling of being comfortable was achieved quite readily upfront. The Challenger sits high and it provides good vision from all quarters. My perception suggested the Challenger felt narrow, but when measured against another similar size wagon there was little difference. Being tall it is important to have plenty of leg room in the driving position. I have my own method of testing leg room, which may sound odd, but it works and guess what ..... the Challenger passed the test, so that's a plus. The seating position was good and the Challenger was assessed on a return trip from Brisbane to Ballina. So it was a good few hours each way which gave us an excellent chance to test its drivability and at no point did it feel uncomfortable. All the controls were in easy reach and in a practical positions. 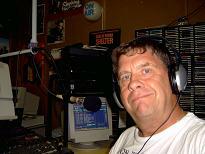 Being a music fan all my rides must have iPod connectivity and bluetooth for phone and music, when it is my choice. Next Car promotes safe driving, so please do not text and/or talk on mobile phones whilst driving. The Mitsubishi Challenger in base model guise was bland, very plain with no badges to indicate what version you're in. It could have done with pin stripes or some kind of markings to distinguish it from the other version. That must be Mitsubishi's choice, but it did distract from making the vehicle stand-out from a styling perspective. But back to our Ballina trip - three of us travelled in the Challenger. 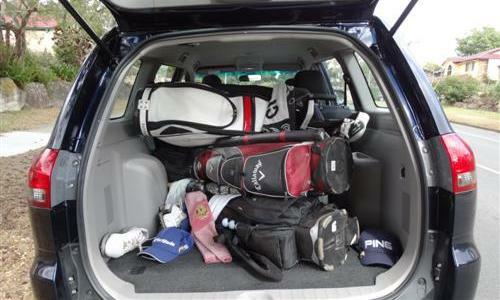 We found plenty of room for three sets of golf clubs and the remainder of our gear. The Challenger travelled well and the weight of the load made little difference to the performance. Turning circle was excellent, much tighter than similar vehicles previously driven. Now that is a plus when towing and reversing with a boat or caravan. Rear mirrors were excellent with good vision display. Ride and handling were OK but we did not push it to its limits. Nor did we test it off-road in 4-wheel drive conditions. Challenger comes with a 2.5 litre common rail turbo diesel engine and four-wheel drive. Power is rated at 131kW at 4,000 rpm and torque is 350Nm at 1,800rpm. The test car had a five-speed automatic transmission fitted, although the base model Challenger is available with a five-speed manual 'box. The base model test car was fitted with the standard 16" alloy wheels. Six airbags, reversing camera, active stability control, anti-lock brake system, electronic brake distribution and active traction control are featured on the current model Mitsubishi Challengers. The fuel tank capacity is 70 litres of diesel. On the combined cycle, the fuel consumption rating is 9.8 litres per 100 kilometres. Boot capacity: the substantial cargo area is 1,017mm long and 1,375mm wide! The width between the wheel arches is 1,000mm! This 4x4 wagon has excellent cargo capacity. A cargo barrier is available, as a dealer fitted accessory, for those who really like to load-up their car. 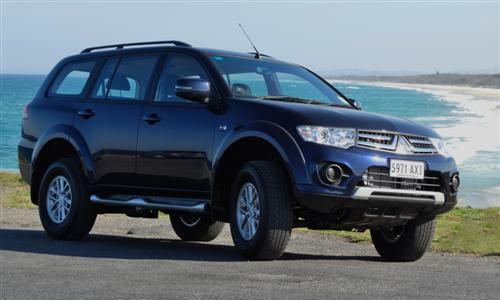 With appropriate equipment, such as that fitted to the test car, the Mitsubishi Challenger can tow a braked trailer weighing up to 3,000kg. In a tow test of the then available 2WD version of the Challenger, last year, a team member felt that the tow weight should be well under the 3,000kg limit but the 4x4 should improve the towing task over the now discontinued 2WD model. 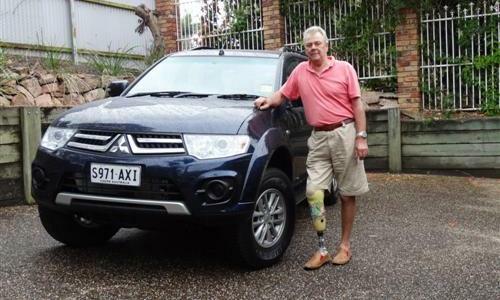 An excellent range of accessories is available to fit the Mitsubishi Challenger. The offering includes nudge bar, front protection bar, weather shields, cargo liner or cargo mat, cargo barrier, water craft/bike carrier, underbody protector, driving lights and a navigation system as well as the quality tow equipment mentioned earlier. There is a 5 year/130,000km new vehicle warranty for those buying a new Challenger (conditions apply). Roadside assistance is included for the first year but is extended when the car is maintained by a Mitsubishi dealer (again conditions apply). Capped price servicing for the first four years is part of the deal, too. Next Car understands the price for the first service at 1 year or 15,000km is $315, thereafter each 'log book' service for the 30,000, 45,000 and 60,000 km mark is priced at $595 (conditions apply). Our Mitsubishi Challenger test car was a base model, though it included many features like cruise control, airbags, reasonable quality stereo system. This base model is just that, plain and simple, no fancy extras. The ride was acceptable but not outstanding. Challenger had plenty of cargo space, which to me is a big asset. In real terms the Challenger would probably go any anywhere with a minimum of fuss but the base model is bordering on spartan. For the price it is worth a look and a test drive as you may like the Challenger for its simplicity and toughness.